First, we have the idea of counter-hegemony as a simple inversion of hegemony, which renders any counter-hegemonic project simply reactive. To be fair to Mouffe, she doesn’t always consider counter-hegemony to be quite such a straightforward inversion; nonetheless, I think her concept of hegemony always leaves the initiative to capital. Mouffe defines a hegemonic project as a process of dearticulation and rearticulation, but note that what gets dearticulated and rearticulated are elements of an already existing hegemony. Now of course it’s true that we have to start from where we are, but I don’t think left-wing politics can let the coordinates of its imagination be limited to the coordinates of the existing order. Despite a few quasi-structuralist gestures towards the way in which the meaning of a term depends on its position in a chain of signification, blah, blah, blah, I’ve never seen Mouffe pay serious attention to ways in which left politics might create genuinely new ways of thinking and acting. Should any such novelty occur it is, apparently, both fortuitous and extra-political. Second, this view of hegemony sees the terrain of struggle as being purely that of capitalist ideology, and so ends up taking capitalist ideology at its word, undermining any possibility of critique. The idea that capital before 1970 was “for” the state, and since 1970 is “against” it, comes from a Reagan speech, not a Marxist analysis; in fact, neoliberalism depends on the state just as much as Fordism did, but it depends on a different kind of state. To fail to realize this, and to simply posit the left as being “for” the state, both supports neoliberal ideology and precludes the kind of rethinking of organizational forms that the left so desperately needs. Mouffe actually makes more-or-less this point in The Return of the Political; the reason why she fails to follow through on her own advice, I think, can be found in a further weakness of her theory of hegemony. Mouffe emphasizes the contingency of the articulation of different elements within hegemony, which is not a bad thing in itself, but it seems to me this contingency is made such a central feature of the ontology that supports hegemony that there is no space to analyze the constraints that operate in any actual political practice. Despite the lip-service paid to the importance of power in constructing hegemony, actual operations of power seem to drop out of the theory: contingency becomes an arbitrary recomposition of given political elements according to the whims of the theorist. 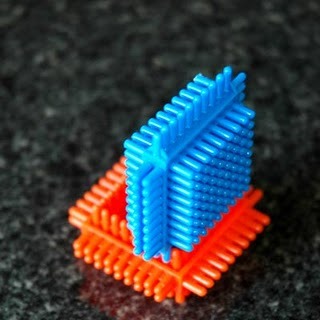 And so, Mouffe’s theory of hegemony ends up turning politics into something like playing with stickle-bricks. ← Liberalism: threat or menace?